Modifying the viral protein using structure-based design allows expression of the virus’ core protein without any of the viral genome. 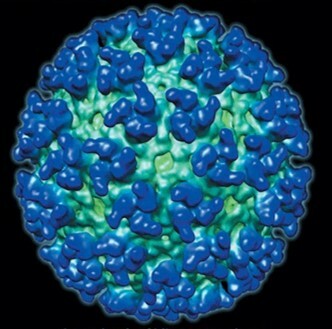 This creates a virus-like particle which acts as a safe, effective vaccine against the native virus. Our lead native virus modification candidate is an dengue VLP vaccine which is scheduled to enter into a Phase I human trial. The dengue VLP vaccine has demonstrated in preclinical studies its ability to induce high neutralizing antibodies. Dengue is a mosquito-borne tropical disease caused by the dengue virus. According to the World Health Organization, it is the most rapidly spreading viral disease with an estimated 50-100 million dengue infections occurring each year and 3 billion people living in dengue epidemic countries. The number of countries reporting the disease has dramatically increased and over 100 new incidents have recently been reported in non-tropical countries such as Japan. There are no approved therapies to treat dengue and prevention is currently limited to vector control measures while a few vaccines are currently being developed. Dengue is caused by four closely related viruses, the Dengue viruses 1-4. Infection by one of the four dengue virus types has been shown to offer protection against the same type of dengue virus re-infection, but not against an infection by other types. Moreover, secondary infection by another type of virus seems to increase the severity disease. Due to these complexities, a vaccine providing long-term protection against all four virus types is needed. At VLP Therapeutics, we have successfully created a VLP for all four types, and are currently conducting animal proof of concept studies.